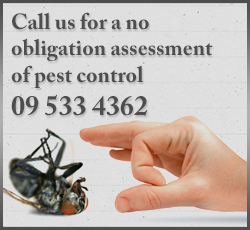 Pest Solutions services the commercial sector in Auckland providing integrated pest management solutions. We do not do work for just anybody and we have an exclusive customer base. We like it that way as it enables us to give you a fast response and a very personalised service. Working with a select customer base, especially with those in the warehousing and distribution, storage, FMCG, manufacturing and food industries means we understand your needs better and can respond quickly when your pest control perimeter is breached. Pest Solutions is your first line of defense for your business when it comes to pest control. A regular prevention program can stop pests from becoming a problem for you, saving you money and your reputation.